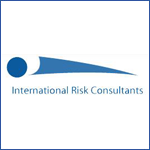 International Risk Consultants, Inc. (IRC) is a global brokerage specializing in trade credit insurance, political risk insurance, and trade finance solutions. No other brokerage group in the world offers the array of cross-border services and risk-mitigation structures. Founded in 1987 in Columbus, Ohio, IRC has offices in U.S., Brazil, India, Hong Kong, and China, with its global reach extending into Europe, Australia, New Zealand and Taiwan. Today more than half of IRC's business is outside Ohio, with China emerging as a dominant market. As IRC's global footprint has grown exponentially in recent years, its global IT environment was becoming increasingly unstable, unreliable and slow. Aging servers, poor connectivity and low latency, especially in China, convinced IRC that its system was in need of serious improvements. Worse still, responsibility for keeping things running smoothly fell on an IT staff of two — IRC's IT Manager, Kristine Hofstra, and an outside engineering consultant. "We were in constant triage mode, always fixing things. We could never get around to the major projects that would actually improve our business," Hofstra recalls. Hofstra made an urgent call to Affiliated, the Columbus-based technology company that had made a preliminary contact with her months earlier. Affiliated conducted an extensive review of IRC's global IT environment, including the severe latency problems surrounding its growing presence in China. The recommendation? A major overhaul. Working with Hofstra on budgetary constraints, Affiliated embarked on a two-year program to upgrade servers, storage, email and collaboration software, including Citrix. TThey also provided WAN optimization, a new virtualization platform, Help Desk for Hofstra to use whenever she needed support, and 24/7 access to Affiliated engineers. "For me, Affiliated's OneSource IT support service gave me instant access to a team of IT experts in many different areas," Hofstra says. "Whatever my IT needs, someone there has specific and deep knowledge to solve my problem. The Help Desk gets me to the right person." Prior to hiring Affiliated, Hofstra had "dabbled in virtualization" with Microsoft Hyper-V, but the implementation turned into a nightmare. "We just didn't have the time or expertise," she says. So Affiliated's first major project was to convert IRC to a VMware platform, which proved to be a better fit. The conversion took Affiliated just three months to complete, despite working compressed weekends to avoid downtime in any of IRC's global offices. Next up, Affiliated moved a "truckload" of servers and storage from the Columbus headquarters, where the hardware had been kept cool by a two-ton air conditioner in a spare room, to a third-party co-location facility with full, no-hassle maintenance services. "One of those projects we could never get to, but Affiliated took care of it," she says. IRC had been struggling with and “throwing money at” low-latency issues in China since establishing offices there in 2003. System synchronization delays could last a week or more. Hofstra and office workers in China would spend a combined 12 to 16 hours a week trying to fix the various connection issues, but nothing worked. Affiliated deployed a Silver Peak System to optimize IRC’s WAN. Basically, WAN optimization compresses packets of data and keeps them together over the Internet. To implement, Hofstra headed to China and worked with Affiliated in Columbus to configure the servers. The result? Dramatically improved speed and reliability with all Internet connections. “Office workers in China now feel less frustrated, because all those latency issues, which impacted their productivity, have all but gone away,” Hofstra says. Working side by side with Affiliated for two years, Hofstra says they've accomplished many big projects quickly, stabilizing IRC's IT environment, resulting in fewer emergencies and user complaints. Hofstra and her colleague spend about 60-70% less time dealing with critical and unexpected IT issues. In all, everyone, from IRC's 65 end-users to Hofstra herself, is more productive, thanks to the partnership with Affiliated. "Throughout the process, Affiliated worked with me to figure out the best and most affordable solutions," Hofstra says. "Before moving forward on any project, they get an expert on the phone to address my concerns so I feel comfortable. If they propose something beyond what I'm willing to spend, they find a more affordable solution. They're a great partner." "Most important thing to me was having a team of experts in different areas only a phone call away. If I have a problem with email, servers, storage, connectivity, Citrix, anything, Affiliated has an expert on staff to resolve it." An Ohio-based provider of specialty insurance needed to upgrade its entire global information technology system to provide greater reliability, stability and Internet speed, especially with its burgeoning China market. Affiliated provided a full range of technology services, from its OneSource Management Service with 24/7 Help Desk to high-level consultancy and implementation on a variety of major projects, including upgrades on a virtualization platform, servers, storage, email, Citrix software and WAN optimization. Realized tremendous gains in IT efficiency and stability, resulting in less frustration among end-users, financial and labor savings, 60-70% time savings on less critical IT issues, and faster, more reliable connections to offices in growing markets around the globe. "We run a two-person IT team for a global enterprise, so having Affiliated's Help Desk at my disposal eliminates a lot of stress on me. It also means less frustration for our office end-users around the world. When internal communications run smoothly and efficiently, customer service is always better — and that's our goal."